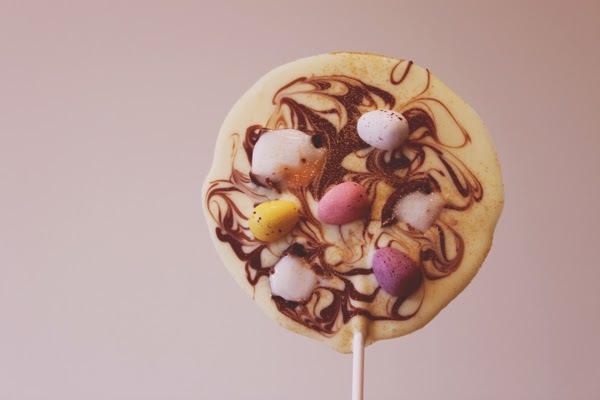 I had this idea when I was making my Easter Chocolates the other day as they are essentially decorated the same - but this one is an awesome huge chocolate lolly ! What's not to love about that ! And they are so easy to make, you don't need any moulds ! Cake pop or lolly sticks & toothpick. Melt the white chocolate. Being sure to temper if you are giving as gifts, I only say this because if they are just for you or the kids and they will get eaten pretty quick, there's no need to bother. Once the white chocolate is melted pour it slowly on to some baking paper and let it 'spread' into a circle which it will do naturally if you pour straight down in the middle. 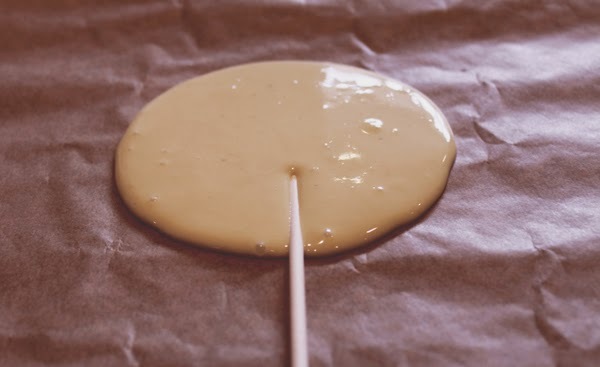 Pop in the lolly stick and drizzle a tiny bit more over the exposed stick to cover it and keep it in place. Then drizzle the melted milk chocolate like before, again don't worry - this will look way prettier in a minute! 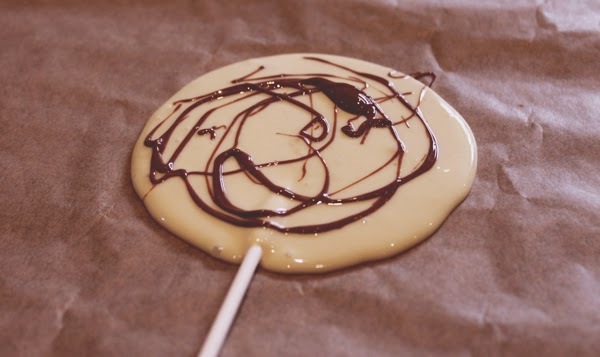 Take a tooth pick and 'swirl' the milk chocolate around in the white chocolate to get that pretty swirl effect. This didn't last long enough to be a gift but you could wrap with cellophane and tie with ribbon to give as Easter gifts or have them out on your Easter dessert table ! 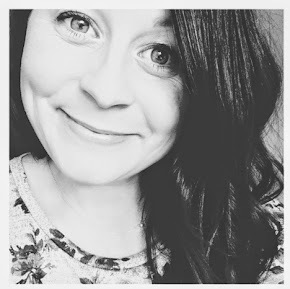 Please do let me know if you make some - I love to see your piccys ! Thanks so much for posting all these wonderful Easter posts!